A departure from my usual dance/electronica mixes. This one includes everything from Appalachian blues to electronic/glitch to hip hop to pirate ballads to chants. 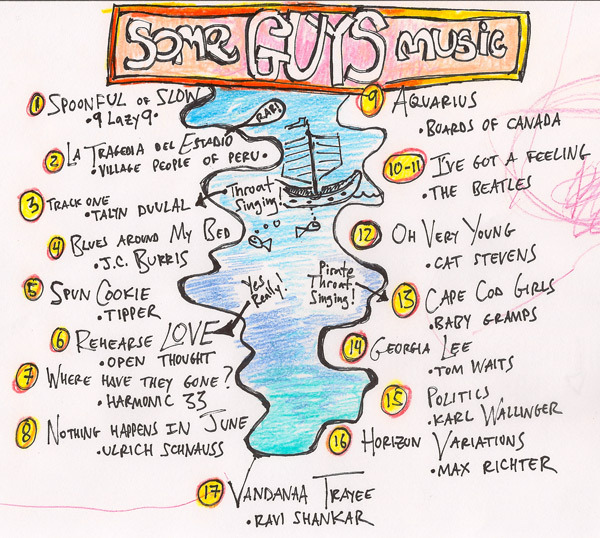 I put this together when a group of my Guy Friends got together to share stories and music. The only theme to this mix that the songs are all recorded by … guys.